He also understood [i.e, from his informants] that, far away, there were men with one eye, and others with dogs’ noses who were cannibals, and that when they captured an enemy, they beheaded him and drank his blood, and cut off his private parts…. Beyond the cape which they saw before them, extended out another headland toward the East, which the Indians on board called Bohio, and said it was very large, and contained inhabitants with one eye in their foreheads and others which they called Canibales, and spoke of them with many marks of fear; as soon as they saw the ships were taking that course they were struck with terror, and signified that the people went armed, and would devour them. The Admiral declares that he believes there is some truth in their representations, but thinks that these people described as possessing arms, must be a race of some sagacity, and that having made prisoners of some of the other Indians, their friends not finding them to return, concluded they had eaten them. This, in fact, was the opinion entertained of the Spaniards by some of the natives at their first arrival. Nothing is said about these cyclopes being of unusual size. I’m sure, though, that they were fearsome enough however tall they were! The body of a giant bear; the backward-turned clawed feet like those of a giant armadillo; the face appears monkey or even human-like; trailing a cloud of flying beetles; and a roar like endless thunder. In some areas, the creature is said to have two eyes, while other accounts talk of it having only one, like the Cyclops of Greek mythology. Some versions mention a gaping, stinking mouth in the monster’s belly through which it consumes humans unfortunate enough to cross its path. Some legends even attribute it the powers of the supernatural, and even speech. Classic stories describe it as a werewolf-like Indian shaman who discovered the secret of immortality, but paid for it by being transformed into a horrible monster. To see it is to come face-to-face with the devil himself! Among those who believe such a creature might actually exist (hint: this is a small number! ), the prevailing theory seems to be that it is, in fact, a giant ground sloth: an animal thought to be extinct for thousands of years. Giant ground sloths notwithstanding, there are also cyclopes associated with the mythology of the American Southeast. In Choctaw mythology, the divine hero Hatakachafa once slew a one-eyed monster who had been terrorizing a forest. Similarly, the Cherokee sometimes (though infrequently) depict the forest monster Tsul ’Kalu or Judaculla as a one-eyed giant. Of all the “wondrous tribes” European explorers reported to exist in the Americas, the Amazons are probably the most obviously human. They have the requisite number of eyes, legs, and other body parts. They don’t have the heads of animals. They’re just culturally anomalous—at least in sixteenth-century European terms. Of course, the Amazons existed in Greek mythology long before Columbus. Actually, there were at least two distinct tribes of Amazons. First, there are the more famous ones associated with eastern Anatolia, whose most famous queen was Hippolyte. There was also a tribe of female warriors reputed to live in Libya. As with the cynocephali, the first report of Amazons in the Americas comes from Christopher Columbus. In 1493, As Guy C. Rothery writes in The Amazons (1910), as Columbus was about to return to Europe from his first voyage, the people of the island of Hispaniola (present-day Haiti and Dominican Republic) told him of another nearby island called Mantinino that was inhabited solely by women. These women were accomplished archers who spent their time hunting and going to war. Once a year, he was told, the women of this island receive male Carib visitors. The next year, the Caribs take away the male children such visits produced. The same custom was noted in ancient times among the classical Amazons of Themiscyra in Anatolia. The island of Mantinino was a mystery, always “just over there” no matter who told the story. As Europeans explored more and more of the Caribbean, their mysterious island home continued to evade discovery. The Amazons seemingly retreated before these newcomers, defying any attempts to encounter them, eventually landing in the interior of South America. In 1540, Francesco de Orellana undertook to travel through Peru to the Atlantic Ocean through the Amazon River basin. At that time, the river was known as the Marañon. Along the route, de Orellana heard fabulous stories of numerous wondrous tribes: pygmies, men with tails, men whose feet were turned backwards, etc. Most persistently, de Orellana heard about a tribe of warrior women who lived apart from any men. Eventually, de Orellana’s party indeed encountered a warlike tribe somewhere upriver of the Trombetas River. Among them, de Orellana observed women who seemingly acted as leaders of the men. This wasn’t precisely what had been reported to them, but it was apparently close enough. Before long, de Orellana had renamed the Marañon River as the Amazon. The story caught on, of course. Peruvian-born chronicler Garcilaso Inca de la Vega later said these women were tall, robust, fair-skinned, and wore their long hair twisted over their heads. By the end of the century, the report of warrior women in the rain forest was “confirmed” (as it were) later by Sir Walter Raleigh. In his 1595 The Discovery of Guiana, he reports the existence of a tribe of Amazons called the Aikeambenano—a word said to mean “women living alone”: that is, without men. The Aikeambenano lived in the upper Orinoco region of Guiana, so not awfully distant from de Orellana’s Amazons. The Amazon myth was probably compelling for the early modern Spanish for the same reasons it was for the ancient Greeks: the idea of a self-sufficient tribe of women who violated expected gender roles by hunting, fighting, and being aggressive in their relationships with men was shocking in the extreme. For the Greeks, the Amazons served as a counterpoint to their supposedly more proper division of labor, a bogeyman—or bogeywoman—to warn men of what can happen if the natural order of things is ever violated. Did any of these Amazon tribes actually exist in history? I seriously doubt it. But the idea of Amazon society continued to inhabit the fancies, and likely the nightmares, of patriarchs both ancient and modern. Werewolves are probably the most commonly encountered werecreature in mythology by far. But they are not the only kind of shapeshifting monster. Other examples are known from just about every culture on earth. Some are friendly; many are deadly dangerous. Some are animals who can transform into humans while others are humans (perhaps witches or sorcerers) who can transform into animals. In my previous post, I looked specifically at werewolves. Now, it’s time to track down some more unusual shapeshifters. Here, then, are five interesting and distinctive werecreatures from around the world. Selkies are found in the traditions of Ireland, Scotland, and the Orkney and Faeroe Islands. They are a race of shapeshifters, switching between human and seal forms by removing or putting on a seal’s skin. They are generally perceived to be gentle creatures who love to dance on the shore and occasionally fall in love with humans. Both male and female selkies are said to be lithe and attractive. A common story tells of a female selkie forced to marry a mortal man when he steals her sealskin. Eventually, she finds the hidden skin and uses it to return to the sea. Selkies are related to the Finfolk, which are essentially the same sort of creature but with malevolent tendencies. By day, stiginis look like ordinary humans. By night, however, they vomit up their souls—along with their internal organs—and become monsters who like to feed on human hearts. Hearing the cry of a stigini is an omen of approaching death. In some stories, mentioning these creatures by name puts one at risk of becoming one. Therefore, stories about stiginis are only told by certain medicine men and women. In other communities, however, they are more of a bogeyman figure casually discussed to frighten children. 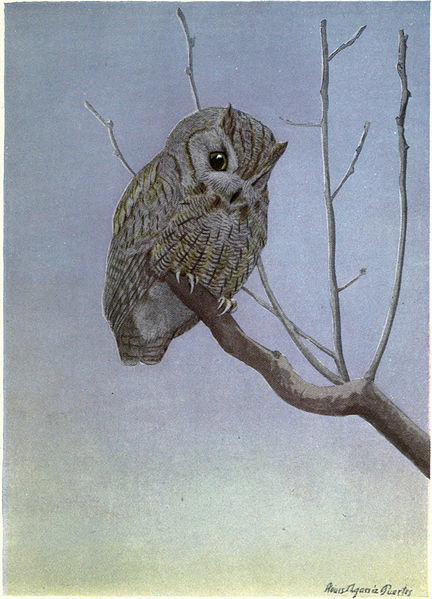 Perhaps related is Hoklonote’she, a Choctaw evil spirit who often takes the form of an owl. Hoklonote’she can read peoples’ minds and apparently enjoys creeping people out by reciting their thoughts back to them. Werehyenas are common in the folklore of North Africa, the Horn of Africa, and the Middle East. In addition to being humans who can assume the form of a hyena, some legends tell of hyenas who are able to take on human form. In the region around Lake Chad, it is believed that whole villages might be populated by werehyenas. In Ethiopia, it is traditionally believed that every blacksmith (a hereditary occupation) is actually a bouda: a wizard with the power to change in to a hyena, in which form they rob graves at midnight. It should go without saying that they are viewed with suspicion by most of their neighbors! Many Ethiopian Christians believe that Ethiopian Jews are bouda and accuse them of digging up and eating the corpses of Christians. Brazilian folklore has the legend of the encantado or “enchanted one.” These are dolphin shape-shifters similar in some respects to faeries. They are thought to be dolphins with the ability to take on human form and not the other way around. Specifically, most of these legends involve the boto or freshwater dolphin of the Amazon River. Occasionally, the stories involve snakes rather than dolphins. Encantados come from an underwater faery-land called the Encante. They are excellent singers and musicians who love parties and are often give to romantic liaisons with mortals. They only rarely take on human form, generally at night. In addition to shapeshifting, encantados have other magical powers. They are able to control storms and exert a form of mind control over humans. They can sometimes turn mortals into encantados like themselves. Encantados are dangerous, and many people in the Amazon region are terrified of them. They can inflict disease, insantity, and death, and are said to be fond of abducting humans they fall in love with and taking them to live in the Encante. Mesonychids are an extinct group of carnivores that are most often described as a sort of wolf with hooves. Even though there haven’t been any mesonychids around for millions of years, a mysterious beast that terrorized France in the 1760s apparently bore a striking resemblance to one. Some witnesses described the so-called “Beast of Gévaudan” as a huge (horse-sized) creature combining features of wolf, bear, panther, and hyena. Some reported that it had cloven hooves, or that each digit was tipped with a hoof. Others said its claws were so heavy and thick that they merely resembled hooves. Such a creature would come close to matching the description of a large hyena-like mesonychid like the Pachyaena or Harpagolestes. Furthermore, the locals claimed that this beast was, in fact, a sorcerer who shapeshifted into a fearsome creature. In other words, the Beast of Gévaudan was a human who apparently assumed the form of a prehistoric nightmare. So how did the country called Brazil end up with it’s name ? One theory says that Brazil was initially colonized by people coming from Viana do Castelo (in northern Portugal), and that through the knowledge of legends from the Celts in Galicia, they would have been aware of the lost continent of Brazil. And not only Columbus, but other early explorers from England knew about the lost land of Brazil. According to”The Island of Brazil”, a contemporary account written by William of Worcester (and published in the late 18th century) recalled that when word of a “new land to the west” reached Bristol in the late 1470s this was presumed to be Brazil. In 1480, a Bristol merchant John Jay outfitted at great expense an 80-tonne ship to sail to the island of Brazil, described as “a name often given in medieval European tales to a land far to the west of Ireland”. Setting sail in July 1480 from Bristol, Jay’s ship voyaged west, intending to “traverse the seas.” But the journey ended in failure. English crews had yet to master the new methods of astronomical navigation devised in Portugal and Spain: open, oceanic voyaging – as opposed to island hopping by way of Iceland and Greenland. In the Welsh and Cornish myths, Bresal was a High King who made his home in the Otherworld “which is sometimes called Hy- or I-Breasal in his honor”. Like in the Irish myth, “His world is visible on only one night every seven years”. Thus, it is clear that the Celts of Galicia, Cornwall, Wales, Ireland and sailors from England all knew of the legend of the lost land of Brazil. Would it then be unreasonable to assume that when Portuguese explorers reached South America they mistakenly thought they had landed on Breasal’s world and named the land they discovered “Brazil” in his honour? Of course, it is possible that the name of the country called Brazil is not connected with the Celtic myth – but in my opinion this theory is not convincing. In this account, the word “Brazil” is derived from the Portuguese and Spanish word “Brasil”, the name of an East Indian tree with reddish-brown wood from which a red dye was extracted. The Portuguese found a New World tree related to the Old World brasil tree when they explored what is now called Brazil, and “as a result they named the New World country after the Old World tree”.